The residential property market continues to look better for prospective buyers as the trend of falling prices extends into the new construction segment. In the fourth quarter of 2018, according to data from Zillow, more than a quarter of listings for newly constructed homes experienced a price cut. For comparison, about 19 percent of new construction listings on the market in Q1 had their price reduced. Across all property types, only 16.3 percent of residential listings saw a price cut in November. This demonstrates how the new construction market is particularly sensitive to interest rates and for-sale inventory levels, Zillow said. 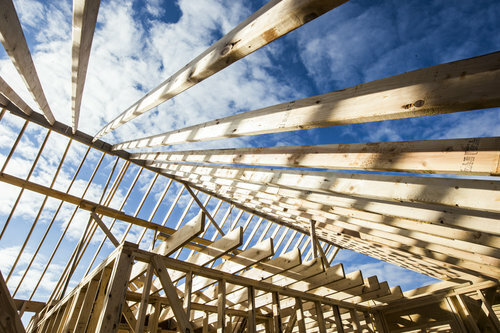 The path forward for the new construction market is made more complex due to the shortage of recent data in light of the partial federal government shutdown. As of Jan. 21, with the unprecedented shutdown entering its 31st day, the Departments of Commerce and Housing have now missed two scheduled reports on new construction activity. In a separate article, Zillow’s chief economist Aaron Terrazas wrote that this and other missing economic reports could have lasting effects. New construction listings in the Houston area saw more price cuts than average, with 27.8 percent of listings being listed for less in Q4. The average cut amounted to 4.1 percent, to a median price of $375,000. Price cuts on all listings have grown more common in general since the second half of 2018. 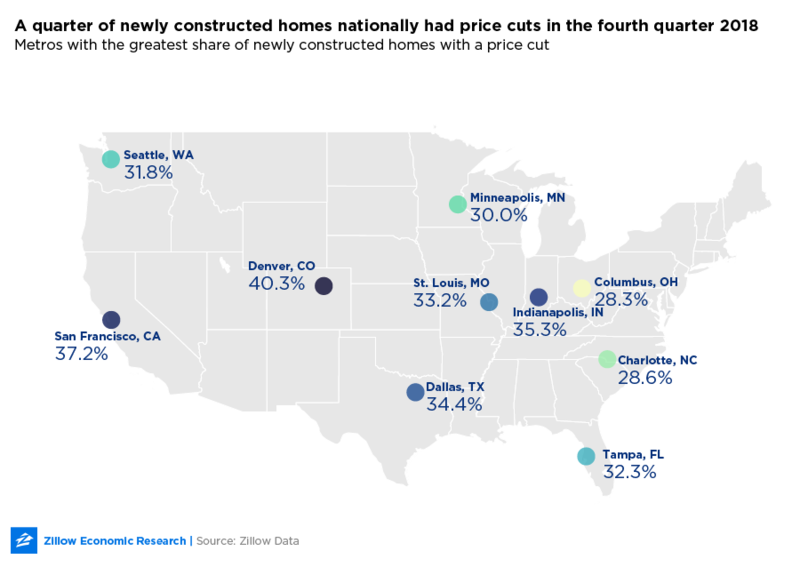 Zillow does note, however, that price cuts on new construction could decrease if mortgage rates stay at the unexpectedly low levels they are currently. And even though those rates are higher than year-ago levels, home affordability (the share of the typical household’s income that can pay for a typical monthly mortgage payment) has remained historically favorable, too. Still, missing federal data on the new construction market makes it difficult for economists to get an accurate pulse on its activity.